Time is really flying by in Nairobi. 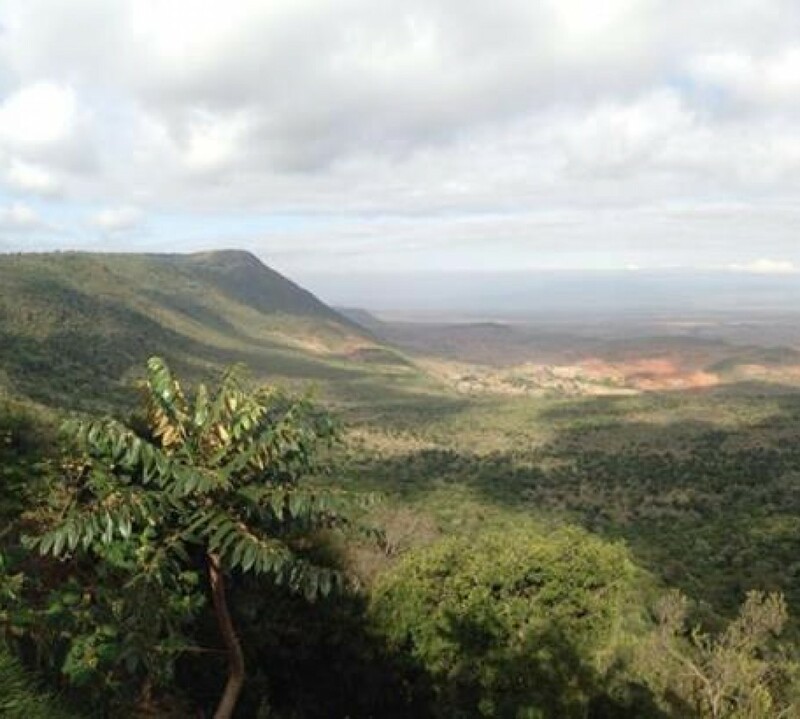 This weekend was the first time since arrival that the volunteers got a day off to explore Kenya. 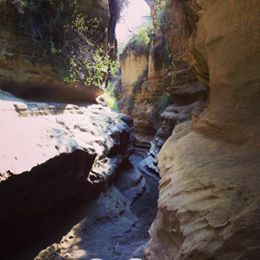 Although I was exhausted from a week of adopting to the culture of KSG and Kenya in general, I was very excited to spend time bonding with the other volunteers outside of school and to do some touristy things while here. On Saturday, we drove about twenty minutes outside of where we are staying in Nairobi to a place called Kazuri Beads. It was a little more rural than where we had been so far and on the way there were vendors selling hand painted pots and furniture. Kazuri is a bead factory that employs single mothers. They craft the ceramic beads themselves, fire them in a kiln, and then paint them by hand. They even have a website if you want to google them and check it out! The jewelry was amazing and it was a quiet and peaceful environment after being around the KSG students all week. On Sunday, most of the volunteers decided to go to the Giraffe Center in Nairobi. There were a few hiccups with transportation. We ended up taking a private matatu that was organized through our guesthouse. A matatu is basically a very crowded small van that is used for public transportation here. The roads around Nairobi are full of potholes and there seem to be almost no traffic laws, so driving at high speeds in a matatu feels somewhat like a real life game of Mario Karts (terrifying but very fun). We got lost on the way to the Giraffe Center and ended up in some questionable areas of Nairobi, but it was cool to see new parts of the city. Eventually we got there and were not disappointed. They breed giraffes at the Giraffe Center and later release all of the animals back into the wild. You can feed the giraffes with either your fingers or your mouth. To feed them with your mouth, you put a giraffe pellet in between your lips and the giraffe will “kiss” you to get the food. It actually wasn’t as gross of an experience as it sounds. We spent Sunday night relaxing and preparing lesson plans for the upcoming week. The girls at KSG were full of energy this morning. It’s hard to keep up with them but I’m trying to keep my spirits up because I know that my time with them is limited. I find myself getting frustrated when my students are fidgeting or not listening to the lessons we teach, but then I remind myself that they are often only 5 years old and really aren’t capable of sitting still for a few minutes at a time much less for an hour long lesson. In other news: my cold is going away, I’m getting used to the food, and I figured out how to get laundry done at the guesthouse. Life here has been busy, challenging, and exciting. 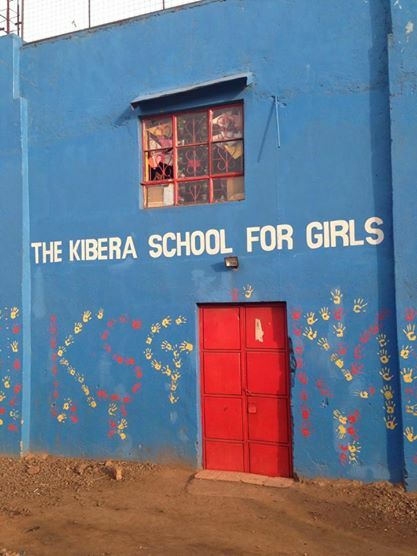 We just finished our first week of the Summer Institute at the Kibera School for Girls. The days are long and keeping control of the girls is a lot harder than I expected, but they are so bright and so energetic that it is overall very enjoyable. 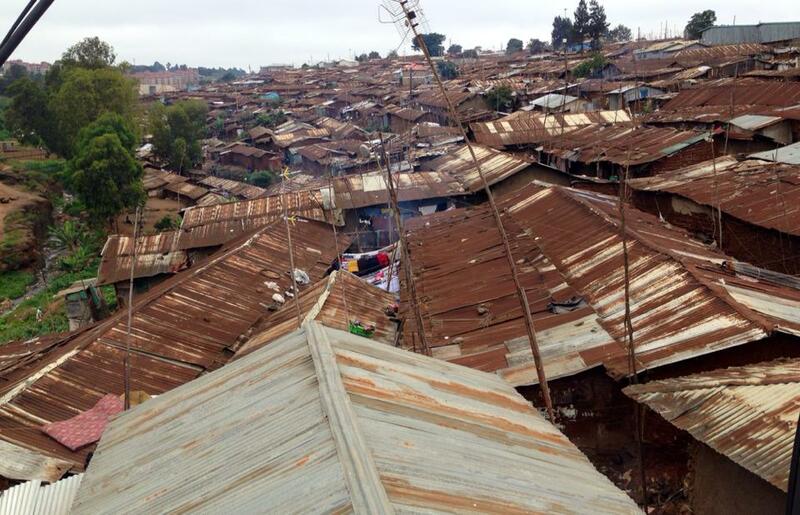 On a typical day, we wake up around 6:30 for an early breakfast and get to Kibera around 8:00. The day starts with literacy hour. Each American volunteer is paired with a Kenyan volunteer to be in charge of an “animal group” of about 10-12 girls. I work with first graders and we are the Hippos. During literacy hour with the Hippos, we do a morning greeting and energizer while the girls have their porridge.. Afterwards, we read stories to help practice literacy. We help them sound out difficult words, identify the characters and settings, make connections with the story to their own lives, etc. This is my favorite part of the day because the girls are still calm and we are with the same group each day, so we get to know them a little better. 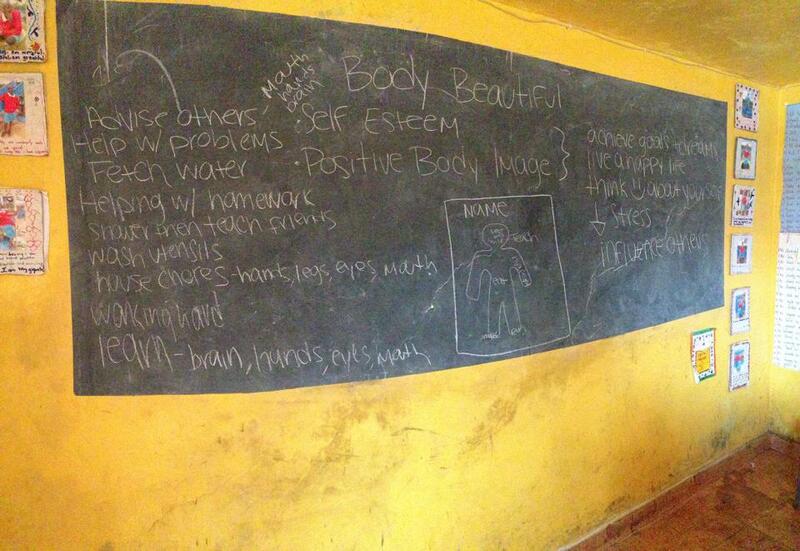 Learning the stories of the students at KSG is a humbling experience. Out of respect for privacy I won’t write about specifics, but there have been a few moments that caught me off-guard emotionally. It is amazing that they come to school each morning ready to engage in their education with a smile on their face. They have very different attitudes towards education than the American students I have worked with. After this, we switch classrooms to teach our first workshop to other animal groups. This week, my favorite two lessons were a conflict resolution class for kindergarteners and a mindfulness class for fourth and fifth graders. We are allowed to write lesson plans on any subject we want, because the Summer Institute is basically a summer camp while the academic teachers are receiving additional training. The most challenging workshop I have done was with a group of Pre-K students. A fellow American volunteer and I were trying to teach them to sing American songs. They were crawling all over me, tugging on my earrings, playing with my hair, and petting my face. Their English isn’t very good yet so it is hard to communicate with them. Figuring out discipline has been a challenge for all of the age groups so far. After two workshops in the morning, the girls meet in the Hall for lunch. Lunch is typically a simple Kenyan dish like rice and beans or ugali and vegetables. I tried to get one of my students to help me perfect the art of eating ugali. You take a piece of corn meal, ball it up in your hand, poke a hole with your thumb, and scoop vegetables into the hole before eating it. “Teacha, you have never eaten ugali in your entire life? !” They were shocked that we don’t have ugali in the United States. The biggest issue at the Summer Institute this week has been distribution of the bananas.. “Teacha, I did not get a banana.” “Teacha, I do not want a banana.” “Teacha, the peacocks have stolen the bananas from our room.” The bananas have created a significant amount of conflict between students and volunteers, but by Friday we discovered that it is easiest to bring the bananas into the hall with lunch and distribute them there. After lunch and recess, the girls go to two more workshops and end the day with all school singing. We do SO MUCH singing and SO MUCH dancing at KSG. I usually sing a song with my class before and after each lesson. It is an easy way to connect with the students and capture their attention. Sometimes we sing songs that I remember learning at camp as a kid, and sometimes we sing Kenyan songs in Swahili. I am slowly learning the lyrics and quickly getting over my fear of dancing in front of other people. After all school singing on Friday, the girls hugged us goodbye and left for the day around 5:00. This week has made me realize that volunteering at the Summer Institute will be more challenging that I thought. I am so tired at the end of each school day that it is hard to keep my eyes open. Beyond trying to make sure the girls are behaving, it is difficult to work with the Kenyan volunteers. There are huge cultural differences in how we treat the girls and communicate with each other. I am enjoying working through these barriers and I am sure it will continue to be a learning experience. After finishing on Friday, we all went out to get ice cream together. It was nice to spend time with them where we weren’t forced to sing songs or talk about school.